NAA Member News: Does your operation match your brand? Maybe you need The Cube? The company offers a variety of solutions that maximise the potential of running a modern, LEAN facility. Its service consists of design, manufacture and installation of signage and communication products that include customer’s specific graphics. The Cube is the epitome of mobile display solutions, offering a flexible, future proof “communication zone” solution. 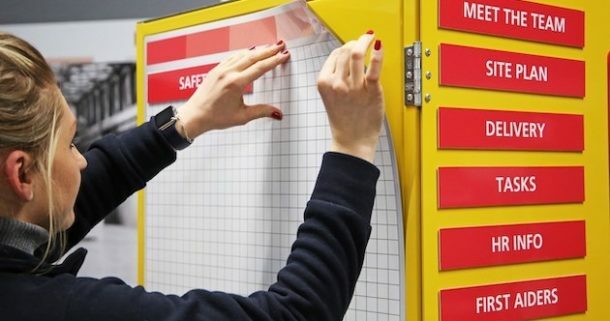 With handy internal storage space, and magnetic, changeable walls, The Cube provides quick access to information you require and allows for quick communication display adjustments. A great starter product for businesses looking to adopt 5S into their workplace. MELO CUBE… Organise, customise, optimise.